Exclusively for our readers, these Sterling Silver Initial Earrings drop from $49.99 to $14.99 when you add the code BD46741 at checkout at Limoges Jewelry. Shipping adds $3.99. This is the lowest price we could find based on something similar. Sales tax is charged in most states. Exclusively for our readers, this Sterling Silver Birthstone Charm Circle Pendant drops from $89.99 to $17.99 when you add the code BD40096 at checkout at Limoges Jewelry, plus it ships free. 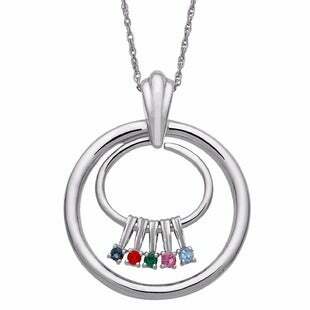 This is the lowest price we could find based on a similar necklace and it beats our last mention by $7. Sales tax is charged in most states. 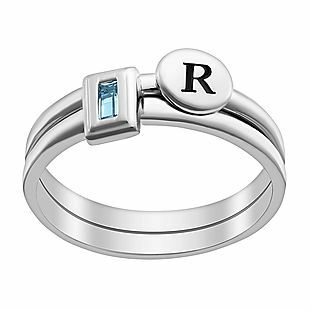 Exclusively for our readers, this Sterling Silver Initial And Birthstone Ring drops from $79.99 to $24.99 when you add the code BD194792 at checkout at Limoges Jewelry. Plus shipping is free. This is the lowest price we could find based on a similar ring. Wear it alone or stacked. Sales tax is charged in most states. 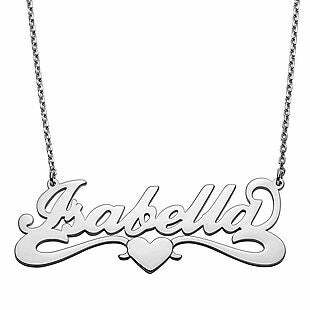 Exclusively for our readers, this Sterling Silver Name Necklace drops from $79.99 to $17.99 when you add the code BD45943 at checkout at Limoges Jewelry. 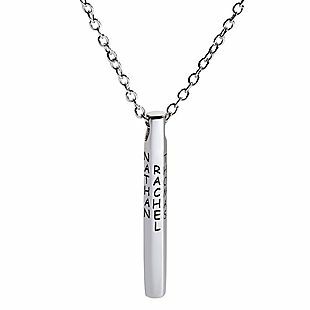 Even with $4.99 in shipping fees, this is the lowest price we could find based on a similar necklace. Sales tax is charged in most states. 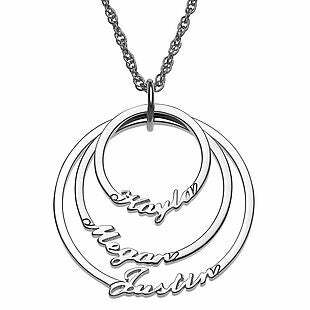 Exclusively for our readers, this Personalized Nesting Circles with Names Necklace drops from $59.99-$74.99 to $18.99 when you add the code BD19NECK at checkout at Limoges Jewelry. Shipping adds $4.99. This is the best price we could find based on a similar necklace. 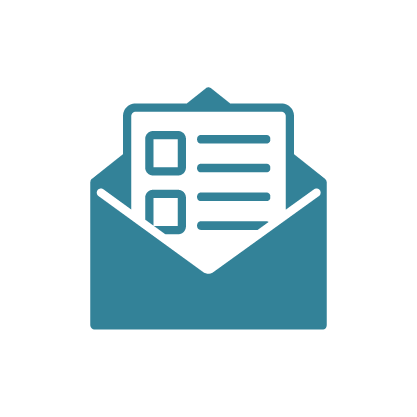 You can choose two to five personalized circles. The necklace is made of rhodium-plated brass. Sales tax is charged in most states. Exclusively for our readers, this Family Name Hexagon Bar Pendant drops from $89.99 to $19.99 when you add the code BD45059 at checkout at Limoges Jewelry. Plus shipping is free. This is the lowest price we could find based on something similar. Sales tax is charged in most states. 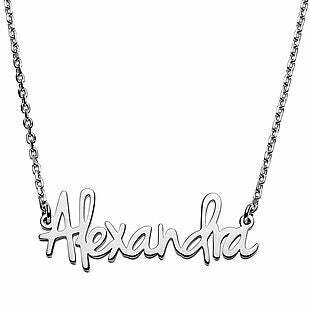 Exclusively for our readers, this Sterling Silver Petite Fancy Posh Name Necklace drops from $69.99 to $14.99 when you add the code BD45939 at checkout at Limoges Jewelry. Even with $4.99 in shipping fees, this is the lowest price we could find by $15. It hangs from a 16" chain with a 2" extender. Sales tax is charged in most states. 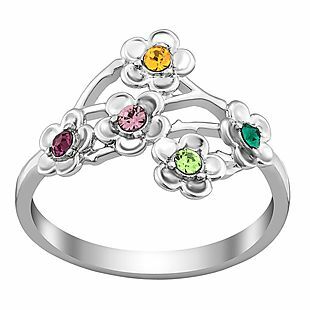 Exclusively for our readers, this Personalized Family Flower Birthstone Ring drops from $79.99 to $14.99 when you add the code BD1946116 at checkout at Limoges Jewelry. Shipping adds $4.99. The ring is sterling silver. Sales tax is charged in most states. 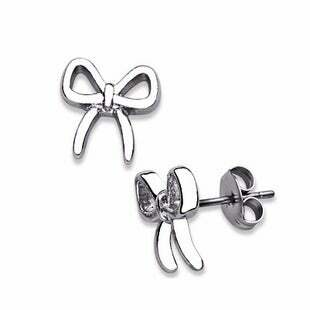 Exclusively for our readers, these Designer-Inspired Bow Earrings drop from $14.99 to $6.99 when you add the code BDBOW at checkout at Limoges Jewelry, plus shipping is free. They measure about 10mm and are platinum plated. Sales tax is charged in most states. 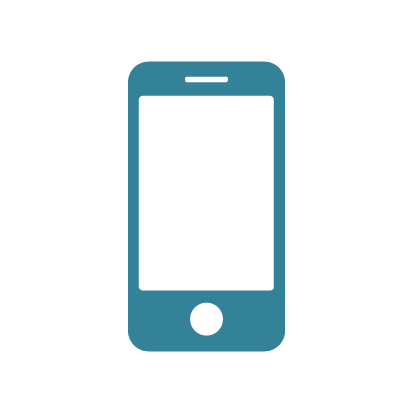 Limoges Jewelry charges a flat shipping rate based on the dollar amount of your order. Shipping for orders under $75 is $5.99, and shipping for orders over $75 is $6.99. Limoges Jewelry also offers a price match guarantee, so if you find an identical item somewhere else, they will match that price or provide you with a full refund, no questions asked!